How can your company connect with your target market? How can you show customers that your brand is credible and authentic? How do you draw customers to your brand without a repeated sales pitch? Simple: you create interesting and engaging content. 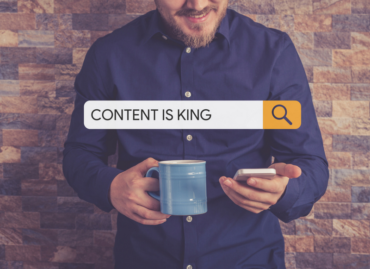 Content marketing is promoting your brand by creating valuable and relevant content aimed at a specific audience, and then freely sharing it online. Inform your customers, become a resource for your clients, and share your own passions. Content marketing has the potential to build not only a customer base, but a community centered around your brand. Good content marketing also establishes your brand as a significant resource for people who would potentially engage with your brand. Potential customers will come for your content, viewing your company as an informational authority; when those customers need a product or service, they will immediately think of you, their resource. When asked for advice on writing, Kurt Vonnegut said, “Use the time of a total stranger in such a way that he or she will not feel the time was wasted.” This should be every content marketer’s mantra. Let StartUp TakeOff help you create your content marketing strategy. Our professional copywriters will engage your customers with creative and informative content. You will love your content marketing materials–and will quickly notice how they increase your bottom line. Additionally, our graphic designers will creative custom imagery that accompanies every piece for an even greater impact.